Born in Marlborough Park, Londonderry in January of 1886 she is second daughter and third child of nine born to Samuel Starrett and Ellen Beattie. Her name is May Louisa Starrett and she is my 1st cousin 2x removed; her mother and my great grandmother were siblings. 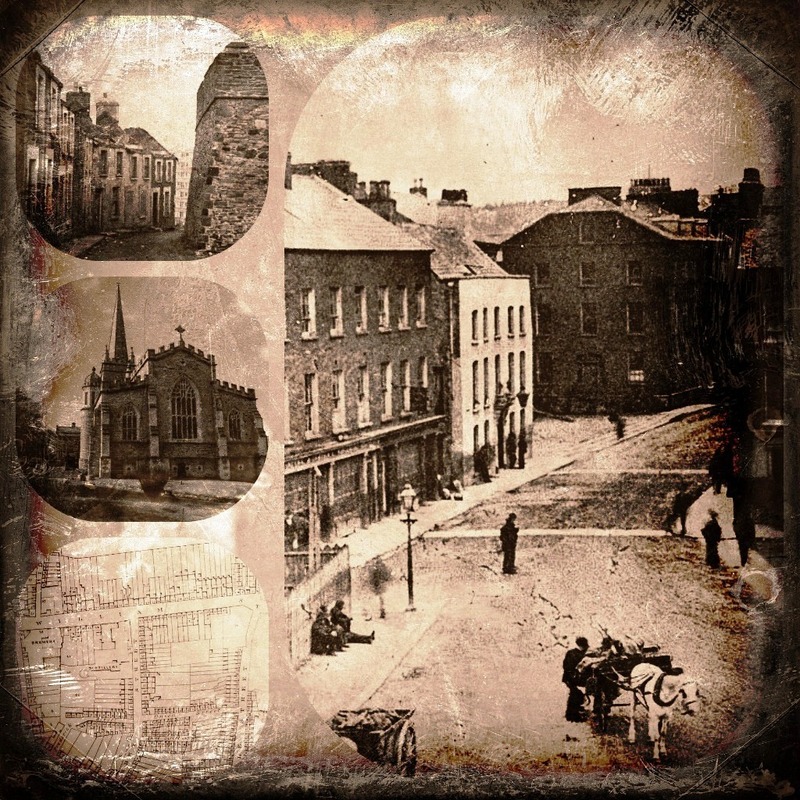 On 23 Aug 1882 in Christ Church Church of Ireland Londonderry Samuel Starrett and Ellen Beattie were joined in wedlock by Rev. Francis Lewis Riggs. Their union was witnessed by Joseph Edward Woods and Mary Anne Beattie, the bride’s sister. After their marriage Samuel and Ellen initially lived in Marlborough Terrace where their first six children were born. 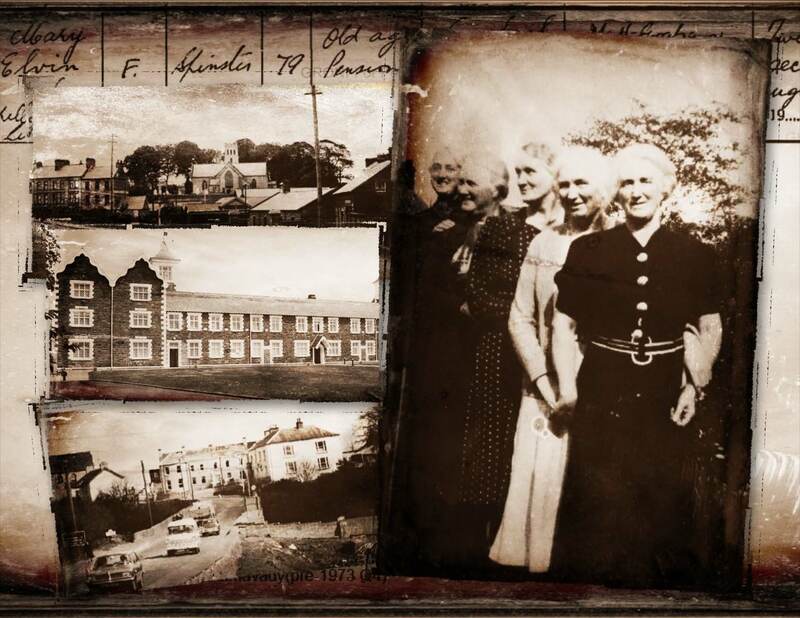 By 1895 and the birth of their seventh child the family was living in Derryview Terrace. James Irwin (foreman), Denis Bradley, Robert M’Cullagh, Henry Doherty, Edward Logue, John Archibald, Patrick Brolly, Joseph Gormley, Patrick Harkin, Samuel C. Donnell, John Donnell, and Thomas Watts. Head-Constable Funston and Sergeant O’Hagan were also present. Deceased’s father was too ill to be examined. Samuel Starrett jun., a very intelligent boy, who was in the kitchen at the time of the unfortunate occurrence, was not sworn, but stated the deceased was in the kitchen, and in reaching over to pull out the damper in the range her nigh-dress took fire. Witness made to run upstairs to tell his father but could not get the passage door open. When he did manage to get the door open and call to his father the deceased was in flames. His father on coming down caught the deceased in his arms and put out the flames. Witness brought down some blankets, which were put round the deceased. Mrs. M’Closkey, a neighbor, deposed to being called in and finding the deceased badly burned. Witness applied lard to the burns but the child expired about two o’clock. Dr. M’Caul, who was called into see deceased, said about ten o’clock the previous day he saw her. He found her hands, and almost the entire body, badly burned. It took him nearly two hours to dress the burns. The deceased died about two o’clock, the cause of death being shock to the nervous system, consequent on severe burns. Three days before her eighth birthday, May Louisa died from a fatal burn in the kitchen of her family home in the presence of her father and brother Samuel. Sadly, many of Samuel & Ellen’s children did not live into adult hood; those however, are stories for another day. Li Qi Ying was born in 1998 in the city of Qichun, Hubei Province, in the People’s Republic of China. 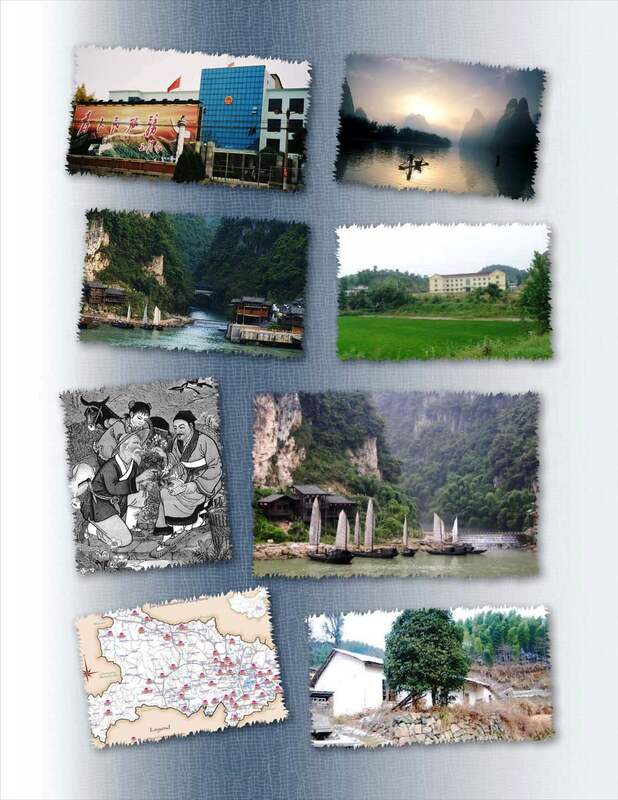 Qichun is the birthplace of famous herbalist Li Shizhen, who was born and lived in Qizhou town, on the southern edge of the county alongside the Yangtze River. It is known in China as the “County of Scholars” as more professors and doctors were born there than in any other county in China. “Mr. Alfred Beattie (59) of Lewis Street, Derry has been missing from his home since Wednesday last and considerable anxiety prevails as to his whereabouts. Mr. Beattie, who is unmarried, lived with his sister, Mrs. Wilson, and is a well known Derryman. He was last seen about six o’clock on Wednesday evening last. The matter has been reported to the police, who are making inquiries with the object of trying to ascertain his whereabouts, but up to the present there has been no news of him.” Published in the Derry Journal on 6 February 1929. Alfred was born in Fountain Place on 17 Jul 1868 in the City of Londonderry; he was the fifth son and eight child of ten born to James Beattie and Rebecca McCadden. He is my great grand uncle and a brother to Charlotte Wilson (nee Beattie), my great grandmother. Little is known of Alfred until 1893 when I discovered the death record for his sister Rebecca. Her death registration revealed that Alfred was with her at time of death; at their parents’ residence at 81 Marlborough Park. 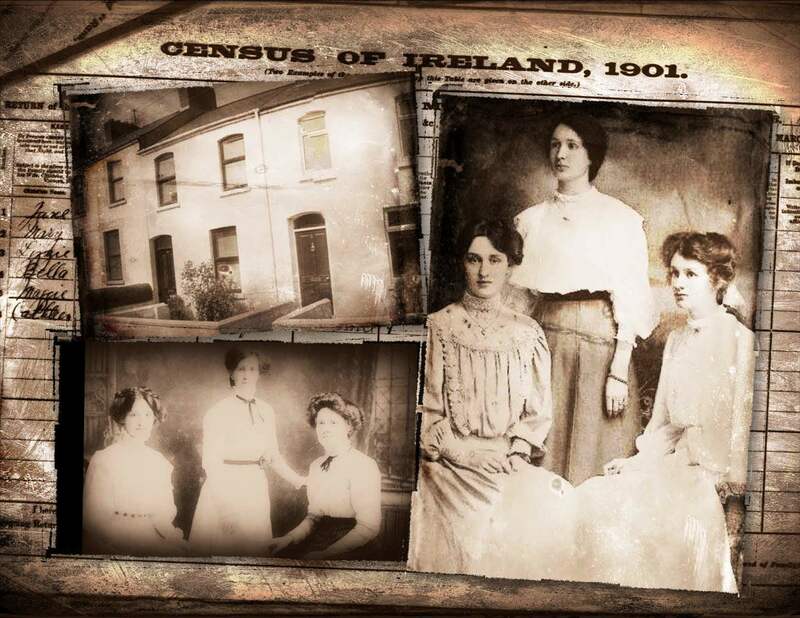 The 1901 Census record finds Alfred, a Cooper; living at 52 Creggan Road with his widowed mother, two of his brothers and his niece Millie. 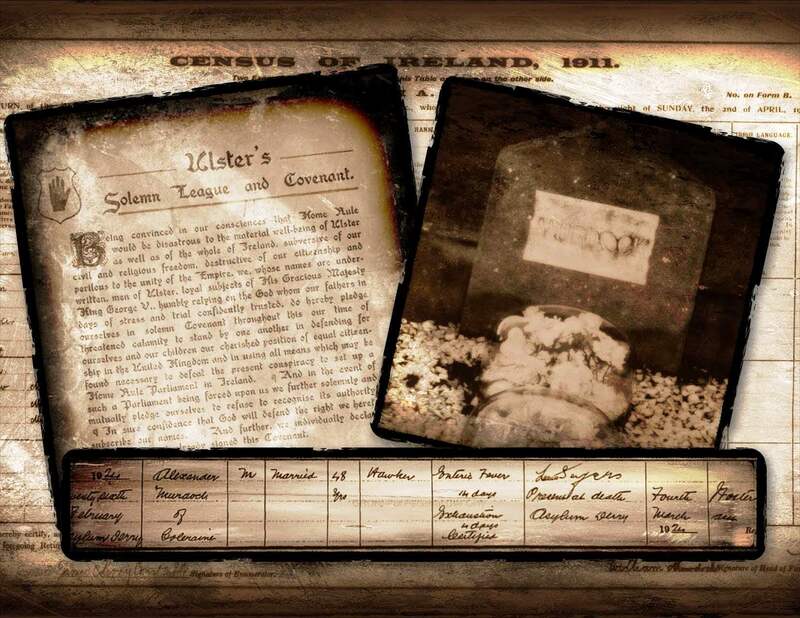 By the time the 1911 Census was taken Alfred, who never married; was still living with his brothers and mother – still in Creggan Road, but now at number 81. Alfred disappeared off the radar once again until 8 Feb 1915 when I unearthed a Short Service Attestation. “Oath To Be Taken By Recruit on Attestation” – “Alfred Beattie, swears by Almighty God, that I will be faithful and bear true Allegiance to His Majesty King George the Fifth, His Heirs, and Successors, and that I will as in duty bound, honestly and faithfully defend His Majesty, His Heirs and Successors, in Person, Crown, and Dignity against all enemies, and will observe and obey all orders of His Majesty, His Heirs, and Successors, and of the Generals and Officers set over me. So help me God.” Interestingly the record shows that Alfred was thirty three years of age at the time he enlisted… in fact, he was forty six! His Military Medical History revealed “Sapper Alfred Beattie of the Royal Engineers, Regimental No. 64259 was five feet six inches in height and weighed nine stone. On 18 Mar 1915 another Medical record divulged that he was “unfit for General Service, RE Depot.” The documentation also demonstrated that Alfred had been enlisted before. Although I have not found any other Military Records for him; his Attestation Record has given me a clue – two previous Regimental Numbers! It would seem much more information remains to be discovered about Alfred’s Military history. By 9 Jan 1918 and after numerous assessments and internal memos between Alfred and the Ministry of Pensions; I uncovered that he was receiving a weekly pension of 27/6 shillings for four weeks. The amount was then reduced to 16/6 shillings which was to be reviewed after an additional 26 weeks. Disability notation on the record stated: “Injury to fingers”. After further research more details were uncovered which validated that Alfred’s injury was incurred while on leave as he was disembarking from a tram car! It’s unclear if Alfred worked again as a Cooper after his Military Medical Discharge. An Inquest was held on 6 Mar 1929 by John Tracy Esq., Coroner for Derry City; stating that Alfred had drowned in the Creggan Reservoir. I will never know for sure his actual date of death; he had been missing for over a month. Such a sad and lonely way to die – not all stories have happy endings! Like so many others, my 2nd great uncle Alfred is someone I will never forget. 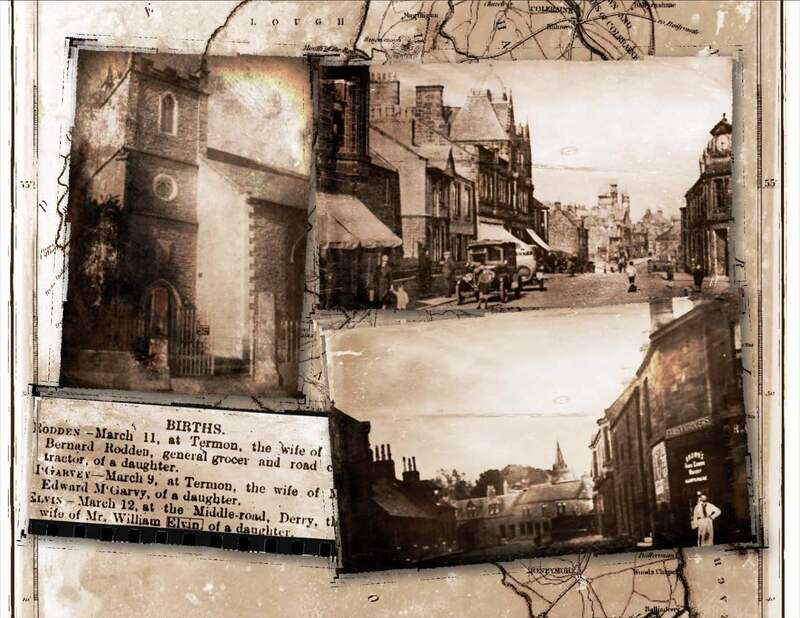 Born on 7 Feb 1898 in 21 Lewis Street in the City of Londonderry, Thomas Wilson Diver was the second child and eldest son of eight born to George William Diver and, my great grand aunt; Elizabeth Wilson. I discovered Thomas just recently after unearthing Short Service Record No. 8211 belonging to Robert Norry Wilson, his uncle and my great grand uncle; which led me to Burt, Co. Donegal and another Crooked Branch of my family tree. Born on 18 Mar 1895 he was the fourth son and seventh child of nine born to Samuel Starrett and Ellen Neely Beattie. William, most commonly known as Willie; is my 1st cousin 2x removed. His mother, Ellen, is my great grand aunt and sister to my great grandmother Charlotte. Willie was born, and spent the first years of his life; at 1 Derry View Terrace where the family resided. Sometime between Dec 1898, the birth of his brother Edward; and the 1901 Census being recorded the family had moved to 25 Spencer Road; where they still lived in 1911. On 28 Sep 1912, and the signing of the Ulster Covenant, I discovered Willie, a printer; had noted his address as 34 Spencer Road. This little tidbit of information I found quite interesting; and upon researching the 1911 Census Record for 34 Spencer Road found a Hunter family! It would seem I had discovered another Twisted Limb of my Hunter/Wilson family line! After unearthing a Military Record, entitled “Proceedings on Discharge”, I discovered Willie, at the young age of nineteen; had enlisted with the 9th Royal Inniskilling Fusiliers on 8 Sep 1914. These records confirmed that he was a printer by trade and once again showed his home address as 25 Duke Street. A “Medical Report on an Invalid”, from the Ontario Military Hospital, Kent, England; dated 3 Aug 1917 revealed that on 29 Apr 1917 in Kammel, Belgium Willie was injured. “Patient stated that a piece of shrapnel struck his left hand, causing much damage to his ring and little fingers. At the same time he received a GSW to his upper lip which is now healed completely. 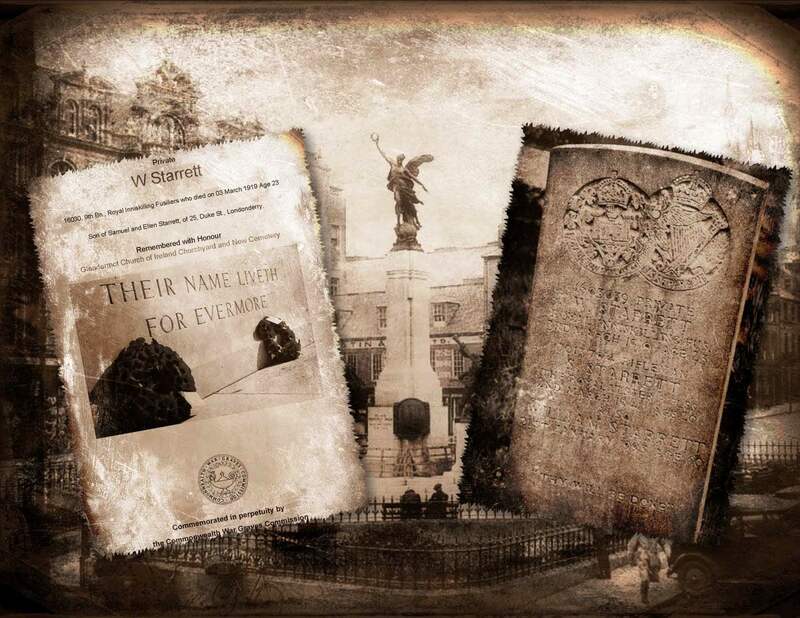 He was taken at once to the 53rd Field Ambulance where his wounds were dressed and the ring and little fingers amputated above the metacarpo-phalanged joint.” The noted “opinion as to the causation of the disability” indicated “G.S.W. Left Hand” caused by “active service in presence of the enemy”. The record also revealed that Willie had several ailments. His respiratory system and expansion of his lungs was somewhat “deficient”; he also suffered from chronic bronchitis. The record goes on to state: “Ring and middle fingers of left hand missing. Middle finger partially flexed and bound down by contracted scar tissue. Wound on ulna border of hand almost healed. Slight discharge from small area on surface. Patients condition not likely to improve appreciably”. Accounts show that Willie was of “Very Good Military Character – A very good man who served his country well and was wounded in its defenses”. He was of “fresh complexion”, 5’ 10 ½” tall with grey eyes and light brown hair. On 22 Aug 1917 and only 21 years of age Willie received a medical discharge. Willie’s life, like many of his siblings; was not to be a long one. At 25 Duke Street on 3 Mar 1919 and in the presence of his brother Samuel, Willie passed away. His Death Record revealed that he suffered from chronic pleurisy for two years and six months and septic pneumonia for nine days. Private William Starrett of the 9th Battalion Royal Inniskilling Fusiliers is interred at the Glendermott Church of Ireland Graveyard. He is Remembered with Honour and Commemorated in Perpetuity by the Commonwealth War Grave Commission. He is also commemorated on the Diamond War Memorial located in the Diamond in Londonderry. Willie is another member of my family whom I have never met – one I will never forget – one who has stolen a little piece of my heart. 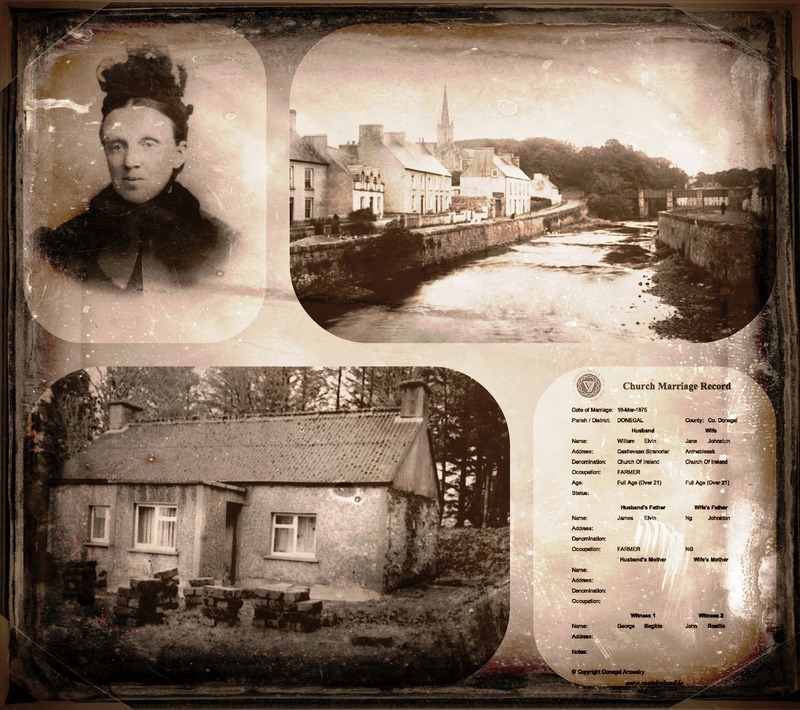 A Birth Notice published in the Derry Journal on 15 Mar 1876 stated; “Elvin – March 12, at the Middle-road, Derry, the wife of Mr. William Elvin of a daughter.” Mary Jane Elvin is my 1st cousin 3x removed, eldest daughter and one of seven; born to Jane Johnston of Ardnableask and William Elvin of Cashelnavean, Donegal. 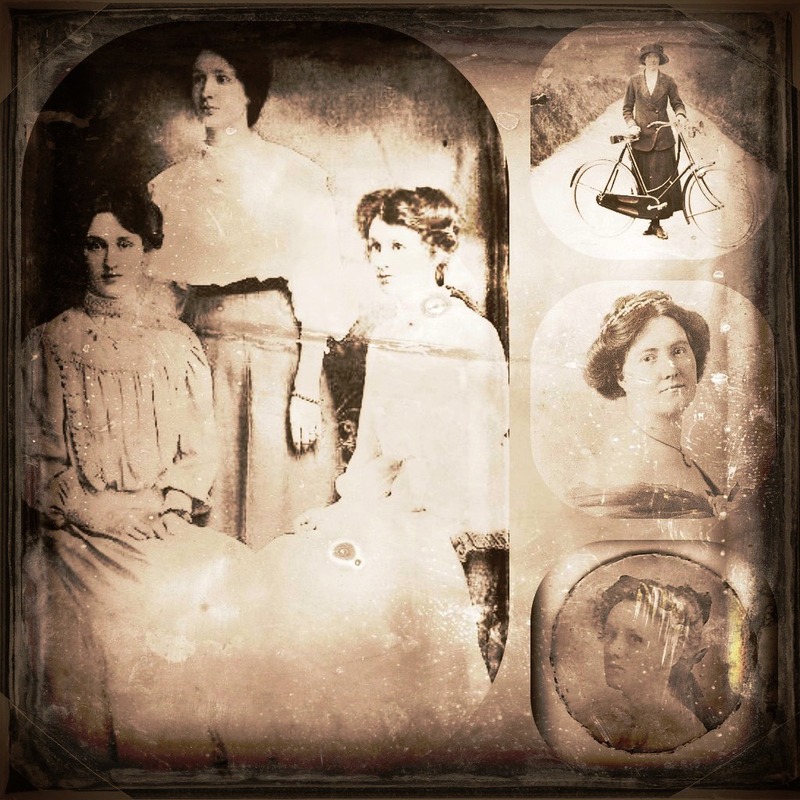 Mary Jane’s mother and my second great grandmother, Catherine Johnston Chambers; were siblings. Mary was baptized on 25 Apr 1876 in Christ Church Londonderry. 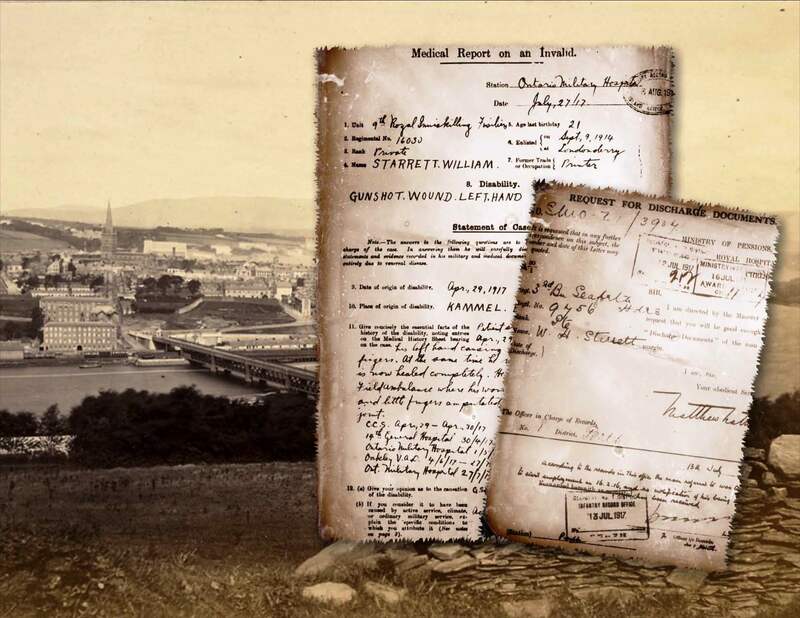 The record reveals her father William was a labourer and the family was living in the Lower Road, Londonderry. 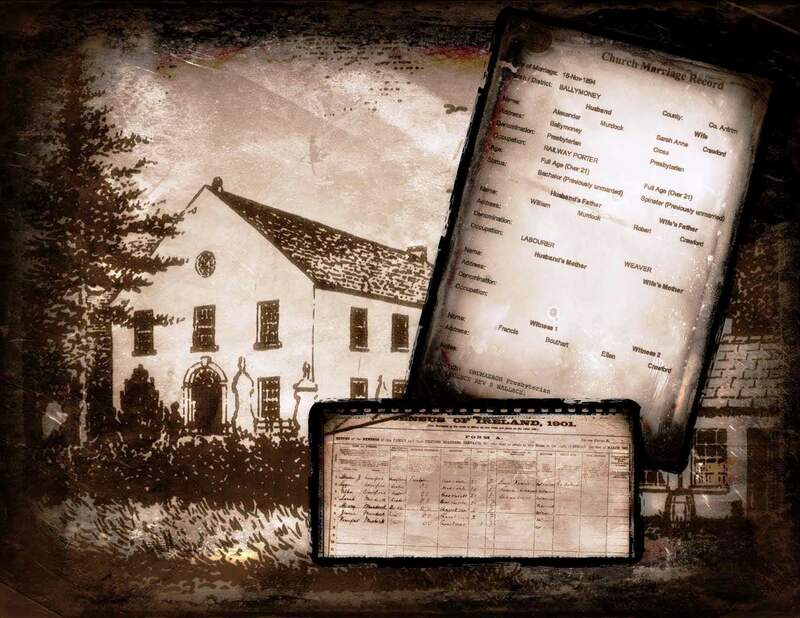 In finding the 1881 Scottish Census Record it was discovered that Mary was living with her parents and siblings in 49 Close, Old Monkland, Lanarkshire; it would seem her father had moved the family there for work opportunities. Two of her siblings, Isabella and Joseph, were born in Old Monkland. 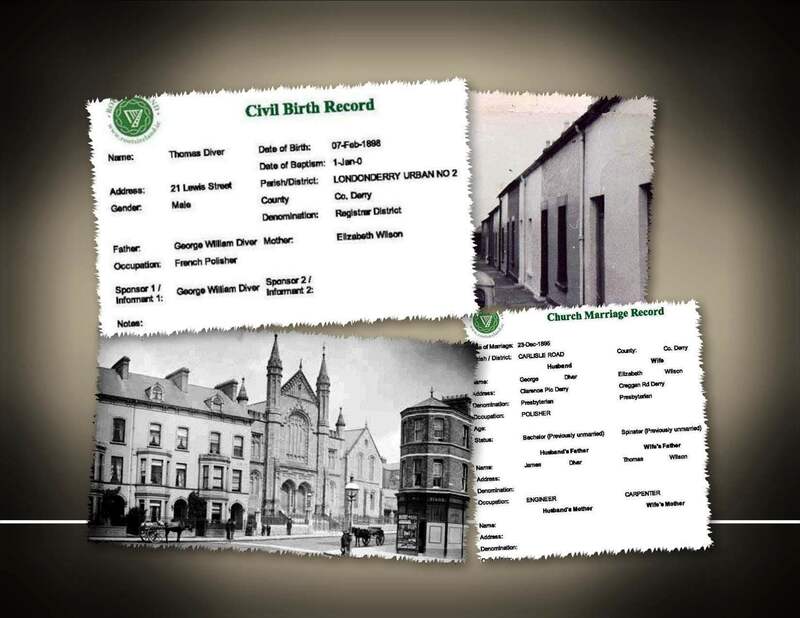 By the birth of her next sibling, Margaret, confirmed by the Baptism Record from St. Columb’s Cathedral; the family had once again returned to Londonderry and was living on Nailor’s Row. Sadly, Mary’s father, William Elvin; died at the young age of forty two when the family was living at 113 William Street. The 1901 Census finds Mary, working as a “Machinist”; along with her mother and siblings living in 15 Argyle Terrace – this particular Twisted Limb of my family seemed to move often. On 9 Sept 1901 Mary Jane was moving once again. The Ship’s Manifest for the Moravian from London, England to Sydney, New South Wales discovers Mary traveling to Australia to live with her paternal uncle, Samuel Elvin; and his wife Jemima. The Australian Electoral Rolls in 1908 show Mary, a dressmaker; living on Juliette Street, Coorparoo, Oxley, Queensland. On 14 Mar 1910 Mary was again making an ocean voyage on board the S.S. Pericles making a trip “back home”. The Pericles had stops in both Sydney and Melbourne enroute to Freemantle; however, it never made it! “Just after noon on 31 March 1910, five days after leaving Melbourne, the Pericles passed White Topped Rocks, with the coast about five miles to starboard. At 3.32 p.m., in clear weather and with good visibility, the steamer travelling at 14 knots struck an uncharted rock near St Alouarn Islet, 6.5 km south-east of Cape Leeuwin. It passed over the rock, but the damage to the forward plates was so great that within three minutes there were 5 m of water in the forward hold. The chief engineer, W.L. Robertson, and his crew worked waist deep in water attempting to shore up bulkheads and keep the pumps going. Passengers were helped into lifejackets and then into fourteen lifeboats, which were rowed towards the shore where fires had been lit by the Cape Leeuwin lighthouse staff to guide them to the best landing place in Sarge Bay. An officer could not be put in command of each boat, as that would have left none to look after the launching of later boats. Several of the officers who had stayed behind and only boarded the last boat therefore jumped overboard and swam to those boats which were without a responsible person in charge. All passengers and crew were saved, but the one-eyed ship’s cat, Nelson, was drowned. The ship drifted with the swell and south-east wind for a short while before going down by the bow, canting to starboard at the same time. All the boats landed during daylight except the last, that containing the captain, who had stayed behind close to his ship until it had sunk. 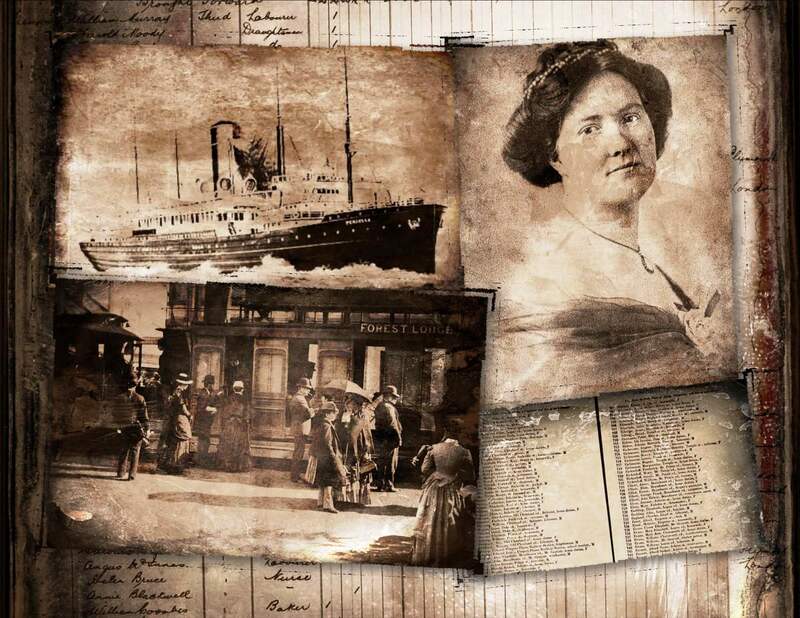 This boat did not reach shore until 7.00 p.m.
On 14 May 1910 the Ship’s Manifest for the Orsova shows Mary arriving in London, England making her way back to Ireland. In the 1911 Census of Ireland she was working as a “Ladies Maid” to Sarah Edith Williams of 1 Derry More, Bessbrook, Co. Armagh. In Feb 1913, and the birth of her son; Mary is working as a dressmaker; and is living in 166 Falkner Street, Liverpool, England. Mary had moved once again. From the late 1920’s to 1940, and her retirement; Mary was employed as a “Ladies Companion” to Miss Margaret Riddel Duffin of “Ardna Valley House”, Shawsbridge. Mary was obviously not afraid to travel by sea after her experience on the Pericles; the ships manifest for the City of Calcutta revealed that once again Mary was traveling. On 23 Dec 1920, as a companion to Miss Duffin; Mary was enroute to Bombay, Karachi, India. The Manifest recorded that the “Country of Intended Future Permanent Residence” was India. It’s not clear why or when Mary returned to Ireland as I have yet to unearth the Manifest for her return trip. At the age of seventy nine, on 17 Aug 1955 from “Cerebral Thrombosis”, Mary Elvin an “Old Age Pensioner” of Killybready, Limavady passed away at the Roe Valley Hospital; M.H. Graham was present at her death. 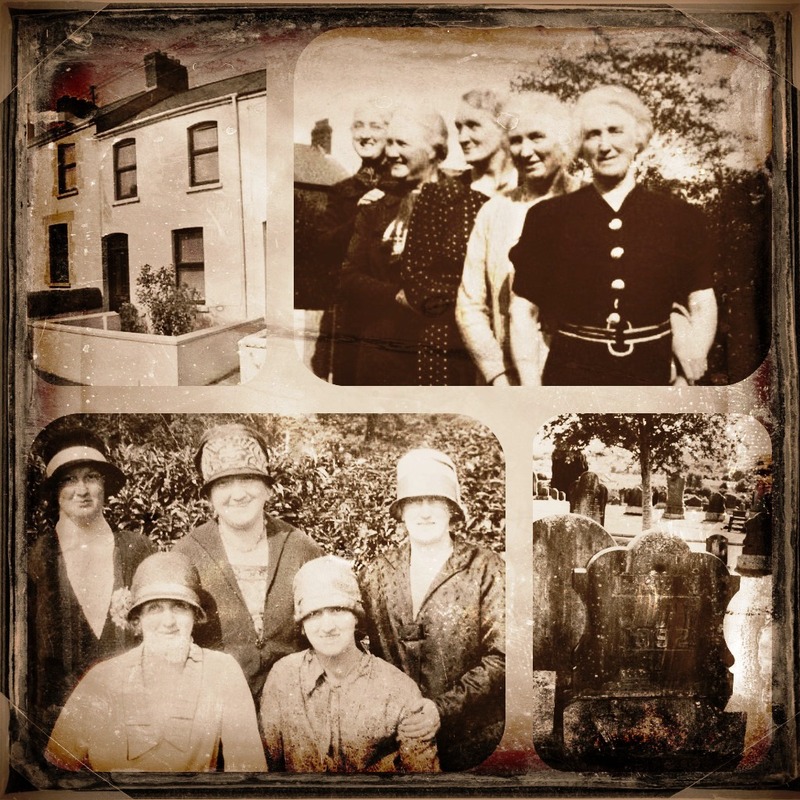 Based on oral family history; after her retirement, Mary had been living with her niece Pearl in Limavady. 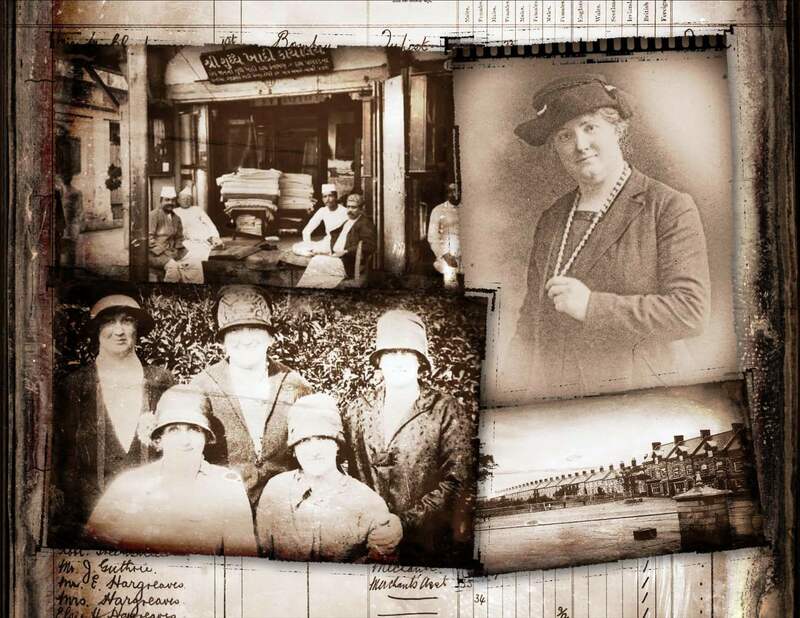 Mary’s life appeared to have been interesting, one which included much international travel. I still wonder – was it everything she hoped it would be? Mary is another family member who has claimed a little piece of my heart! He was the eldest son of William Murdock and Jane McDougall, one of ten; and the only one born in Scotland. Alexander was my great grand uncle, brother of Thomas Murdock, my great grandfather. Alexander was born on 24 June 1873 in 14 Inverskip Street, Greenock, Renfrewshire, Scotland; a small village on the banks of the Clyde. In the 1500’s Greenock mainly focused on fishing; later becoming largely involved in shipbuilding. 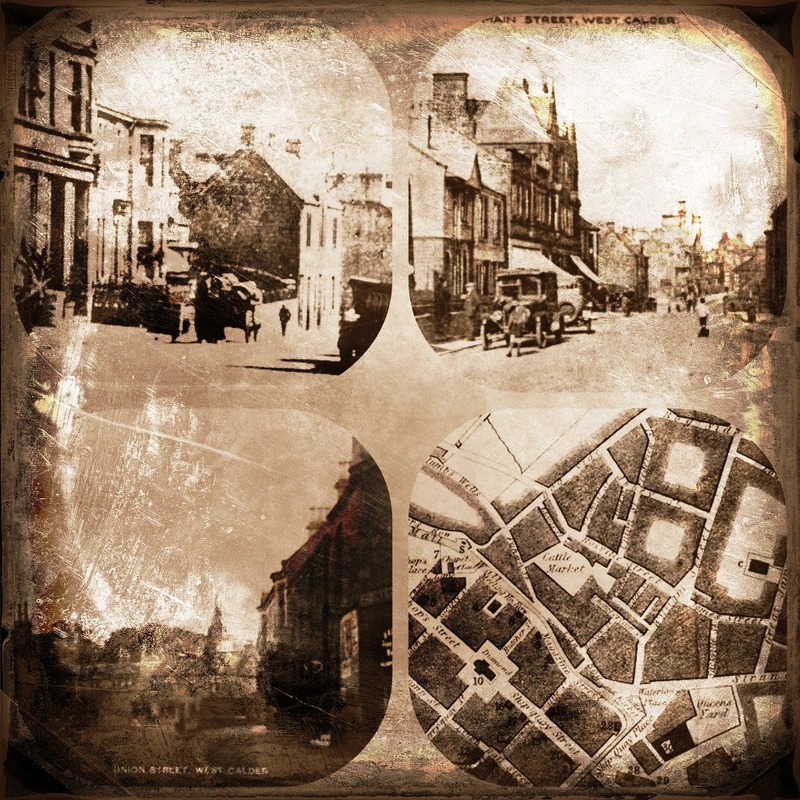 In the very early 1700’s it was a main port; and by the year 1850 there were over 400 sugar ships docking at Greenock, which had set up over fourteen sugar refineries. It was in one of these sugar refineries that his father William worked as a labourer in 1873. 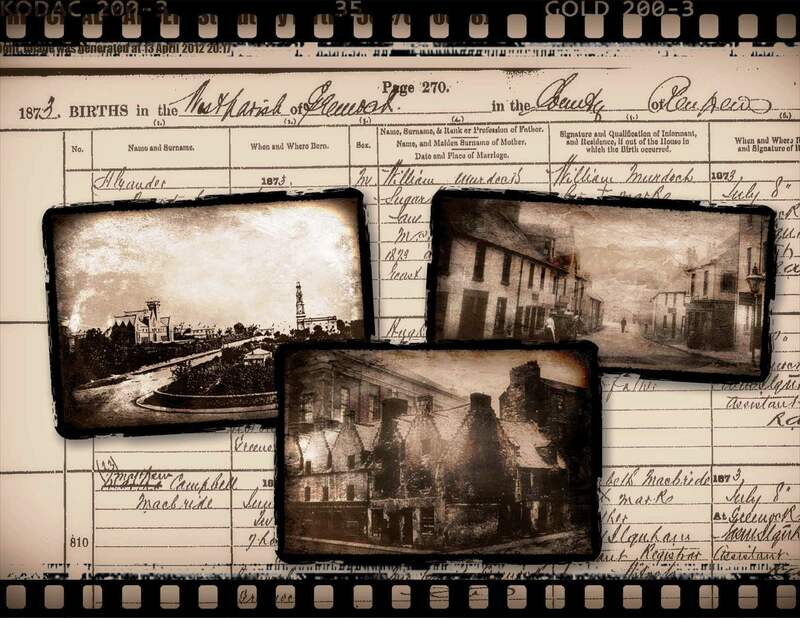 By May 1875 William, Jane and Alexander had left Scotland and returned to live in Ballymoney, Co. Antrim. 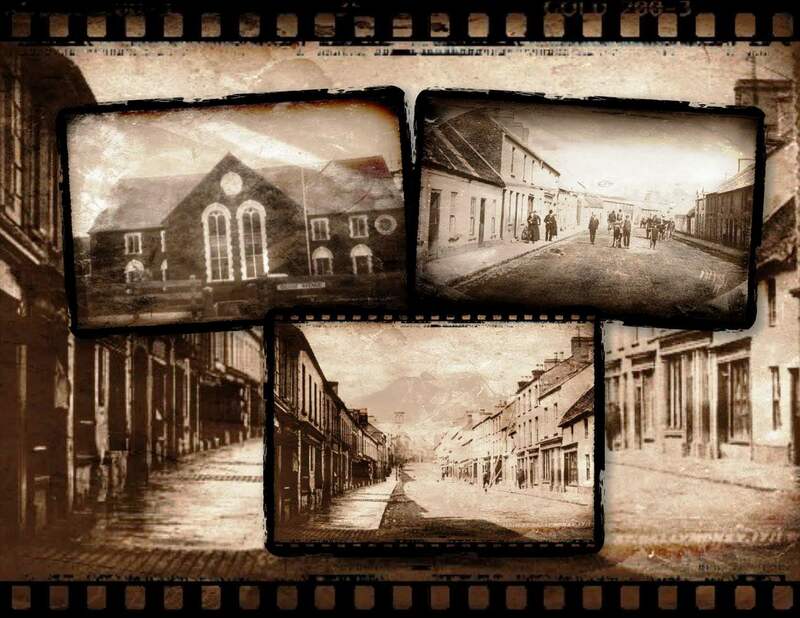 Records from the First Ballymoney Presbyterian Church in 1891 show the family living on John Street; with Alexander working at Kennedy’s and his father working as a Railway Porter. On 16 November 1894, at the Drumreagh Presbyterian Church, Ballymoney; Alexander married Sarah Anne Crawford. Rev. S. Wallace joined the two in holy matrimony; their union was witnessed by the bride’s sister Ellen Crawford and Frank Bouthart. The record reveals at the time the couple were married Alexander was a Railway Porter and his father William a Labourer. Sarah Anne’s father, Robert, was a weaver by trade. It is unclear where the couple lived immediately after their marriage. The 1901 Census of Ireland finds Sarah (married) living at 2 Seacon Moore, Seacon, Co. Antrim. She was living with her children at the home of her sister Martha J. Crawford along with two more of her siblings; Lizzie & Ellen. Strangely, Alexander is nowhere to be found! 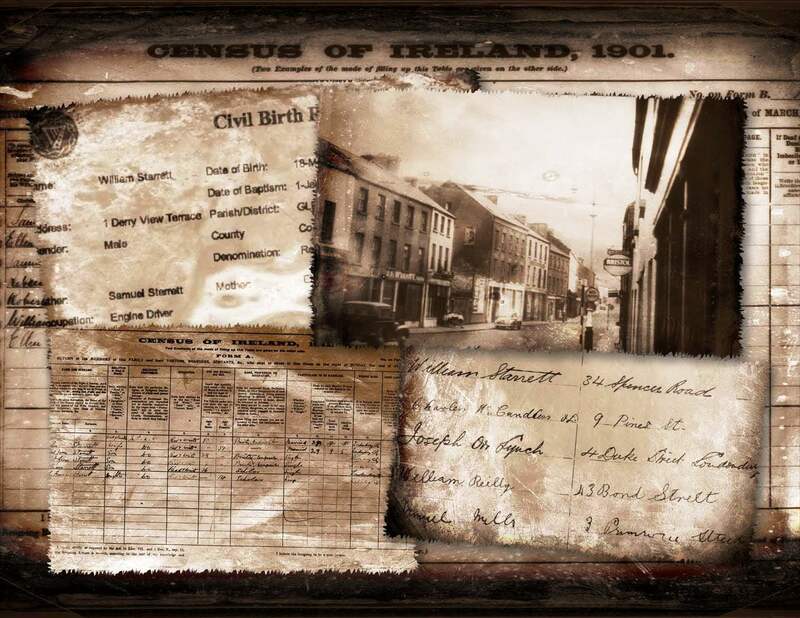 Once again, the 1911 Census of Ireland revealed that the couple wasn’t living in the same home. Sarah, along with her children; was living at the home of her sister Elizabeth Crawford and two of her siblings Martha Jane and Ellen. The record also revealed she had been married for “16 years”; indicating the couple was still married. I then discovered Alexander, working as a carter; listed at the home of his father in Mount Street, Coleraine. Was Alexander just visiting or was he living with his parents and extended family? Alexander signed the Ulster Covenant on 28 Sep 1912 and once again his address was recorded as Coleraine. Sadly, it would seem that my great grand uncle Alexander was one of its unfortunate victims. Once again he returned to Ballymoney; he is interred at the Knock Road Cemetery along with his parents.